Toronto is known to be one of the best LGBT cities in the world today. It currently houses several LGBT friendly establishments like nightclubs, bars, galleries, theatres, cafes, restaurants, and many more. These are usually found in strips along different streets within the city. Aside from these, PrideHamilton also supports and safeguards the welfare of its LGBT community through various regulations and rules mandated by various LGBT-centric organizations and groups. This ensures the safety and protection of LGBT locals and tourists from possible discrimination and violence. No one can deny that this Canadian city is now a favourite stop of most gay and lesbian travellers nowadays. The Gay Village, or the Church and Wellesley Village, is an exclusive LGBT enclave and territory in Toronto found within the streets of Gerrard, Yonge, Charles, and Jarvis. The core of the Village is found along Church street from Alexander to Wellesley South streets. It is also known in nicknames like the Gay Ghetto, the Gaybourhood, or the Village. But the common name used to identify it is the Church street - where most of its LGBT establishments and shops are found. Some of the prominent LGBT-friendly bars and nightclubs found here are Pegasus on Church, the Churchmouse and Firkin, Crews & Tangos, Woody's, Black Eagle, O'Grady's, Boutique, and Statler's. Aside from LGBT-themed establishments, the Village also hosts its annual Toronto Pride Parade for its locals and gay tourists. This festival which features dozens of colourful floats and huge crowds is the largest of its kind in Canada. It usually kicks off on the last weekend of June - which will last over that weekend. 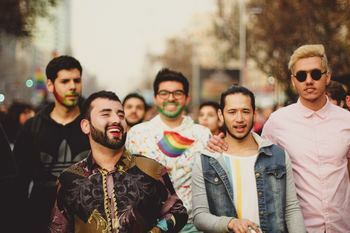 They also host a pride fair where various LGBT groups and organizations contribute to the festivities while highlighting the queer culture and history. Aside from The Gay Village, Toronto gay locals and tourists can also drop by Queer West Village. 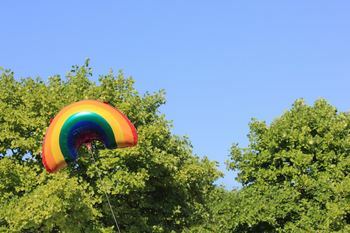 Queer West is also gaining its reputation as a queer-friendly community to its growing LGBT visitors. It is located along Queen Street West and is considered the "funkier and more hipster" version of the popular Gay Village. Queer West visitors won't find the usual gay bars and nightclubs along its street; hence, a strip of queer-owned restaurants, cafes, shops, and galleries fill the whole block of Queer West. Moreover, their diverse art scene instantly catches the attention of most of its visitors with highlights from their own art galleries and theatres. One of these art-centric events is the Queer Arts Festival which hosts the famous Toronto Queer West Film Festival. There are also small events like spoken words gatherings, bicycle tours, art showcase, concerts, and more in this week-long festivity. LGBT community should also watch out for the Queen West Art Crawl which showcases the talents of local artists through exhibits and small events which usually last for three days. Those who are looking to splash away in Canada and celebrate LGBT pride under the sun can drop by the Cabana Pool Bar located in Polson Pier, Toronto. This establishment owned by Charles Khabouth has a land area of 50,000 square feet filled with high-end cabanas, oak tables, and beach-inspired chairs. Khabouth got the inspiration from several cabana pool party venues in Las Vegas, Miami, and France which he believes will be popular among its Canadian crowd and visitors. Cabana Pool Bar is operational during the weekends which houses thousands of visitors - day and night. VIP guests may rent out their exclusive mezzanine area which overlooks the whole of Cabana and the majestic Toronto skyline.